Al Franken accused of groping woman during photo op. 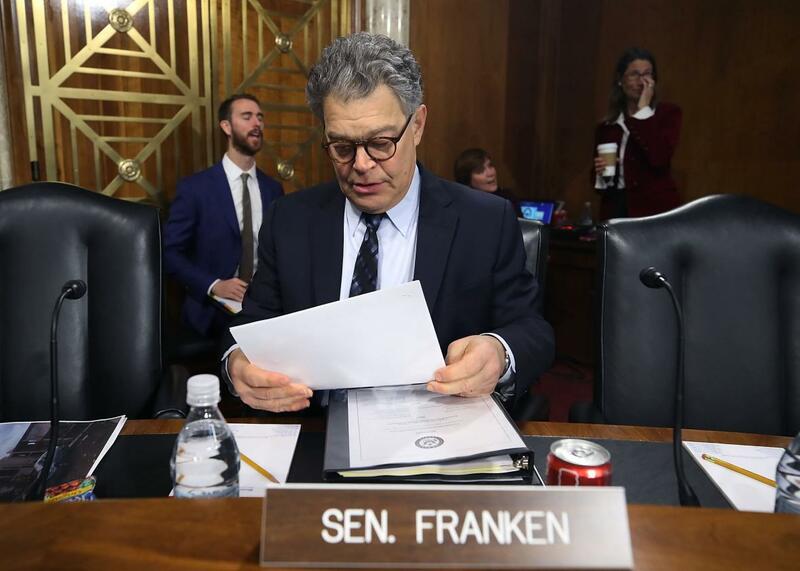 Sen. Al Franken during a Senate Energy and Natural Resources Committee hearing on Tuesday in Washington. A second allegation against Sen. Al Franken emerged Monday, this time from a woman who has accused Franken of grabbing her buttocks while taking a photo in 2010, according to a report from CNN. The allegation follows an article published Thursday in which Leeann Tweeden, a radio news anchor in California, wrote that Franken forcibly kissed her in 2006. She also provided a photo showing Franken apparently groping her while she slept. Franken issued an apology, but he has still faced calls for him to resign and a potential ethics investigation. On Monday, CNN reported that 33-year-old Lindsay Menz from Frisco, Texas, told the network after Tweeden’s announcement that she had her own “uncomfortable” interaction with Franken. Menz said in 2010 she went to the Minnesota State Fair with her husband and father and met various officials and celebrities while there, as her father’s business was sponsoring a local radio booth. Franken had been elected to the Senate in 2008. She said she didn’t say anything to the senator but later told her husband and father soon after, as the two men confirmed to CNN.